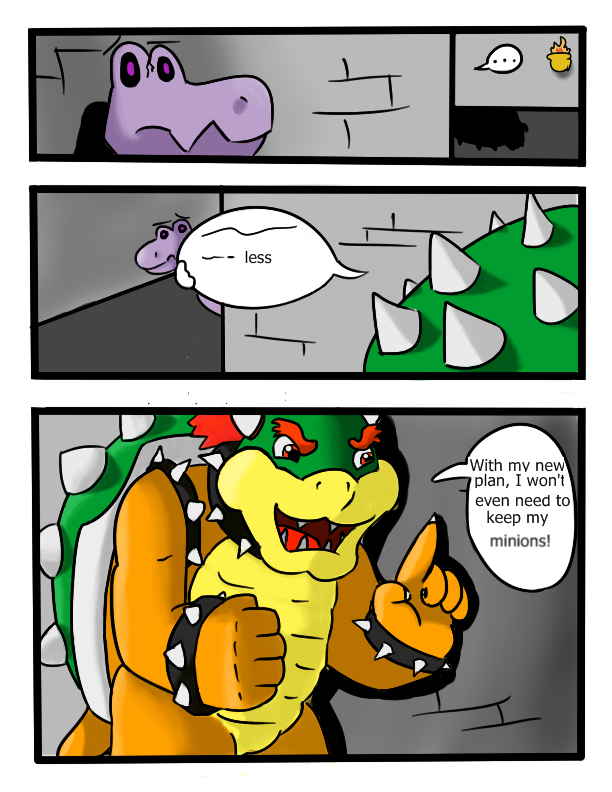 Considering it is Bowser... any plan is likely to fail so I'm sure his minion's employment statuses are in NO danger lol. Is he holding onto the speech bubble in panel 2 there? That's awesome. Lol! I didn't notice that first time through but yes! Yeah, I really like his look :) Good job guys!